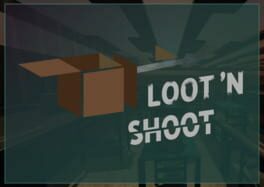 Time until Loot'N Shoot release day! In a world driven by automation, you jump into one of many warehouse robots that experience a malfunction and start fighting each other with everything they can find. The objective of this fast-paced game is to defeat all enemies in multiple themed warehouses before they can defeat you.